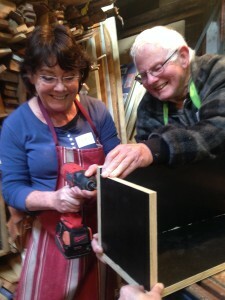 A CMN workshop to build a habitat box will be held in Bega on Saturday 8 December from 9am – 3pm, led by local carpenter/builder Jo Saccomani. Apart from learning how to make a box and having fun at Two Sheds Workshop, you’ll be contributing to restoration of the Bega River. Habitat boxes built on the day will be installed along the Bega River and adjacent wetlands, Spenco Lagoon and the Anabranch. You’ll then be able to see and hear about what is inhabiting your box which will be monitored by the Bega River and Wetlands Landcare group. Sugar Gliders, other arboreal mammals and many species of bats and birds use tree hollows for breeding or roosting. With the number of natural tree hollows declining, and with new trees taking around 100 years to develop hollows, supplementary hollows can be provided by installing habitat boxes. If you are a landholder who would like to encourage birds, Sugar Gliders and other arboreal mammals and micro bats to live and breed on your property, you are invited to come and learn how to build a range of habitat boxes. Designs provided on the day can then be used at home to build your own box. For bookings, please email info@fsccmn.com or call 0417 246 896.